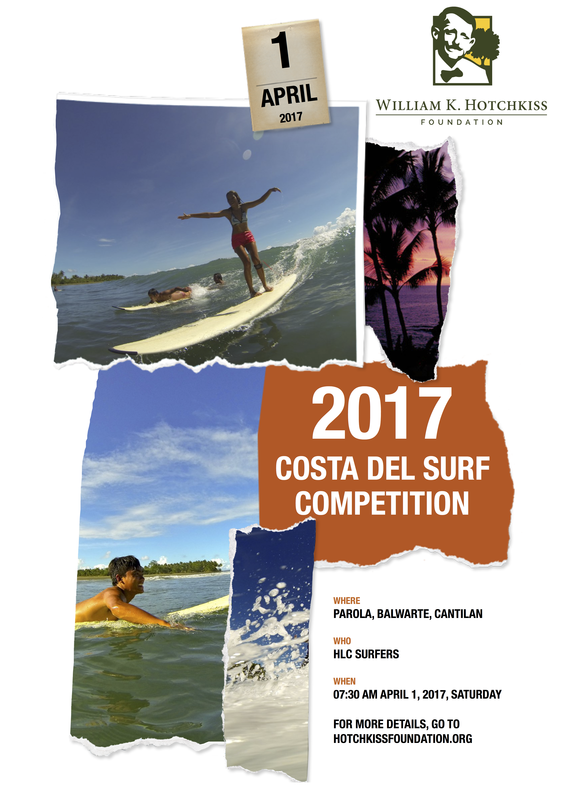 The 2017 Costa del Surf Competition is on! HLC students, who have been taking surfing lessons as part of their regular P.E. classes, will compete against other local surfers on April 1, 2017, Saturday. After a quick beach cleanup, the friendly competition will begin at 7:30 a.m. at Parola, Balwarte beach in Cantilan. Various prizes are up for grabs including board shorts, t-shirts, and rash guards. See you there! Sept. 7, 2016 | The Hotchkiss Learning Center (HLC) has joined the world's largest volunteer effort to clean up our oceans by participating in the International Coastal Cleanup (ICC) Day. As part of the school's mission to help raise the local community's awareness on environmental issues such as water pollution, the HLC has joined this massive global effort. Join us for the beach cleanups, our underwater photography exhibit, mural painting activities, short film screenings, conversations with scuba diver Joepi Paloma, former HLC volunteer and National Geographic scientist and photographer Chris A. Johns, and Anna Dawson of the Plastic Free Philippines project, and other exciting events. June 13, 2016 | The Hotchkiss Learning Center (HLC) ushers in the new School Year 2016-2017 by harnessing the power of the sun. HLC unveiled its newly installed solar energy technology system on the first day of classes for the new school year. Read more about this in our blog. We are a social-profit organization focused on education and the environment. Learn more about the school and the rest of the Foundation's projects. Share your time or resources with us. Volunteers and donations are welcome.